Trumping up fear: can American voters defy their media agenda? The hideous beast of American nativism awakes again. 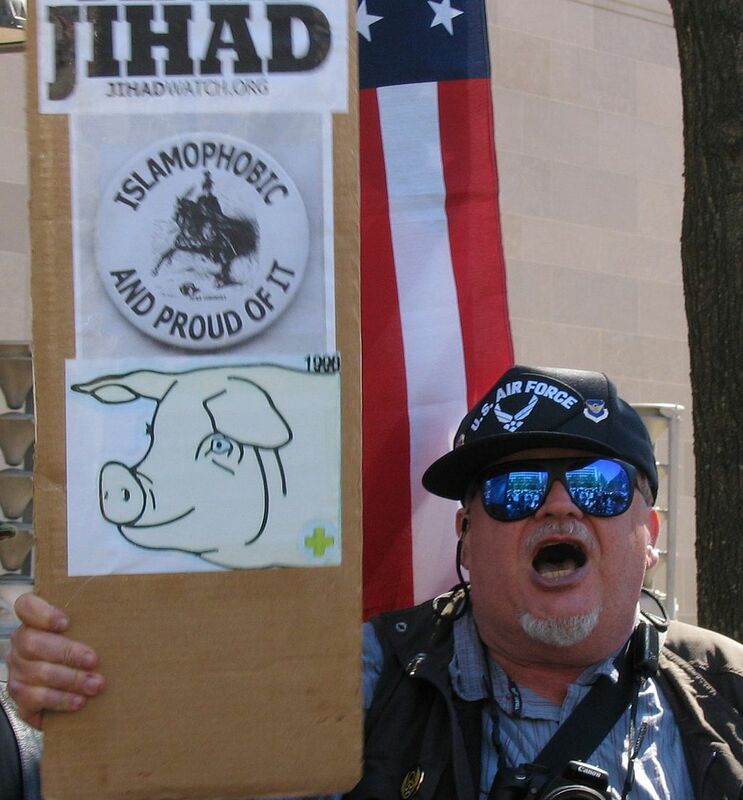 After the Paris attacks on the 13th of November, anti-Islamic speech and violence has spiked. Mosques and Islamic Centres all over have been threatened, vandalized and attacked. Meanwhile, each Republican presidential candidate has advocated policies that target Muslims. Apart from Trump’s bid to temporarily ban Muslims from entering the United States that was heavily criticized (and unworkable – what is he going to do, give all immigrants a ham sandwich and a shot of Jaeger? ), he’s also advocated the surveillance of mosques and to deport the Syrians that have already been granted asylum. Ben Carson compared refugees to rabid dogs and said that no Muslim should become president. Jeb Bush and Ted Cruz recommend only allowing Christian refugees to enter the country, as according to Cruz, “there is no meaningful risk of Christians committing terror”, ignoring the fact that 90% of terrorist attacks in the US were committed by non-Muslims, and that there is a strong case to be made that 20th century wars and government-sanctioned torture and drone strikes could be labelled as ‘terror’. All of this persecution of a group based on the actions of a tiny, extremist minority of its members, perpetrated by a country that not only protects religious freedom in its Bill of Rights, but is founded on it. This liberty is the reason the Pilgrims left England, and kind of the point of the United States. In the previous two centuries, Americans had a different major target of suspicion: Catholics. There was violence and bigotry directed towards Catholics, particularly in the north-east of the United States, largely as a result of the influx of Irish Catholic immigrants. 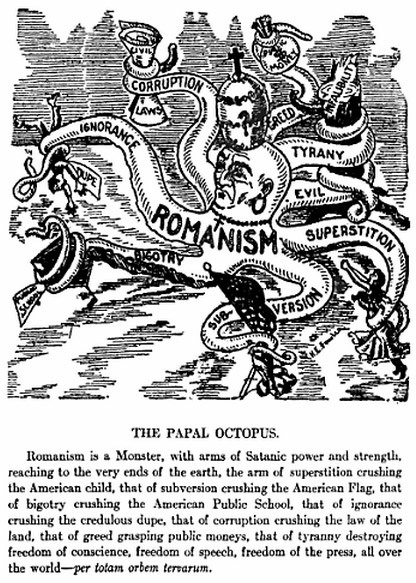 Catholics were suspected of not being allegiant to the US, but to a shadowy foreign power; in the National Lutheran Manifesto denouncing Roman Catholic presidential nominee Al Smith as a foreign agent, it admonishes “the peculiar relation in which a faithful Catholic stands and the absolute allegiance he owes to a ‘foreign sovereign’ who does not only ‘claim’ supremacy also in secular affairs as a matter of principle and theory but who, time and again, has endeavored to put this claim into practical operation”. In other words, no Catholic should become president. In the 1830s, a Catholic convent was burnt down in Charlestown, Massachusetts, and many instances of violence, killings, and policies against Catholics, such as the “convent-inspection” laws to uncover weapons supposedly hidden in nunneries, have occurred since. The parallels to today make themselves. There have been many targets for bigotry in the US, and not just immigrants, but families who have been Americans for generations, but what seems to unite many of them is those of low status and difficult circumstances being punished for the actions of people they have little to do with. In 1939, 61% of Americans opposed accepting Jewish children escaping from European fascism as refugees, as a result of anti-Semitism in the US; many Americans blamed the Jews on the crash of Wall Street and the start of the First World War. This is only slightly more than the percentage of Americans who oppose accepting any Syrian refugees. Over 100,000 Japanese Americans were held in detainment camps following the attack on Pearl Harbour. Each of these examples arises through a combination of racial and religious tension, economic hardship and uncertain national security. The result is the scapegoating of a minority, when the true cause of the problem is never that simple. The prejudices of the population may affect the country’s policies, but the government also aggravates prejudice for its own benefit. Politicians know what they’re doing when it comes to inciting fear of a minority group. Political campaigns, usually Republican, often play to the worst beliefs and prejudices of the electorate to acquire votes. Blaming all your problems on one demonized group is an easy narrative to understand, and plays to emotions and prejudice. This will keep happening as long as politicians have something to gain from it. During the Civil War, as shown in the Scorsese film Gangs of New York, poor Northerners were provoked to hate blacks and the Irish. Politicians took advantage of this both by manipulating anti-Irish anger towards Lincoln, and by manipulating the immigrants themselves into self-preservation hysteria. Later on in the South, there was actually some progress in civil rights and political representation for black people. However, politicians on the right wing figured out that if they blamed their economic problems on black people, they would win more votes amongst poor white voters, and they were successful. Reactionary politicians regained ground they had lost after the Civil War, and liberal politicians started to realize that the only way to gain voters would be to do the same thing. Therefore, supposedly progressive politicians ended up blaming the economic problems of the North on black migrants fleeing to the South. The same thing happened after the civil rights movements of the 20th century, but under a different name. The political teams for Nixon and Reagan realized that you can’t just blame the country’s problems on black people anymore, so the next best thing is to blame the country’s problems on issues associated with black people. In this case, drugs and inner-city violence. The war on drugs and tough-on-crime legislation pushed white people into suburbia, which meant electoral constituencies could be gerrymandered to Republican advantage, and led to the mass-incarceration of black people and their chaining to the bottom rung of the economic ladder, which was exacerbated under Clinton’s presidency, and still continues today. The current wave of Islamophobia is nothing new, and until we realize that a large part of it is constructed by the government and right-wing media who profit from fear, this trend will continue. It’s unfair that we vilify those that need our support and understanding the most.